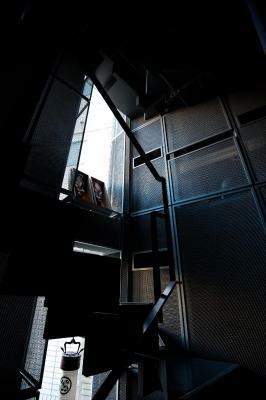 Lock in a great price for Andon Ryokan - rated 8.6 by recent guests. 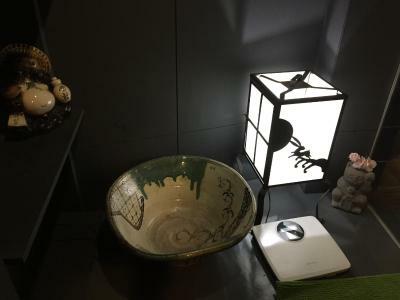 Super cozy and comfortable Ryokan, with good transport options within a 10 minute walk. The breakfast was amazing, made to order, just delicious. great choice of various breakfast dishes from traditional japanese to conventione european; very quiet surrounding, asakusa is a great district, very silentely. Breakfasts are fantastic, enough choices and tastes yummy. Staffs and facilities are wonderful as well. Near the metro station is even better. Highly recommend, especially the hot-tub. 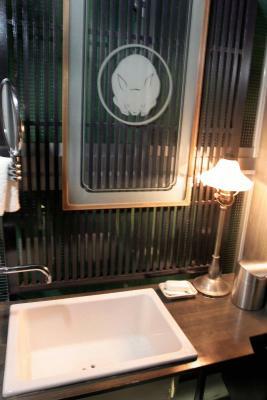 The art, the Japanese style bedroom, the powerful shower and the delicious breakfast especially the mushrooms! Exceeding expectations, photos does not do it justice. Very helpful staff and facilities very clean and what you need. Hot tub is lovely. Beautiful place and area, with a really nice breakfast and lovely staff. The jacuzzi was amazing, we will definitely come back here. Loved the Jacuzzi - boomed it each day. Very lovely place. A nice quiet part of Tokyo and the place has a family feel to it. The room was clean and well maintained and was perfect for what we were after. The owner was incredibly friendly and very helpful. On our first day she gave us a map and guidebook for Tokyo and recommended some places to visit in the local area. The breakfast that was on offer was delicious and set us up perfectly for our days exploring Tokyo. Our stay at Andon Ryokan was just perfect: the room, the breakfast, the Jacuzzi, all was clean and cosy. The staff helped us send our ski to our next hotel, so nice! The building is very cool and stylishly themed. The staff was super friendly and helpful. We received great tips for going out to dinner and going to a nearby temple to see the plum blossoms. The room and facilities were not very large but still great. The upstairs reserved bath is wonderful and absolutely worth signing up for! And, breakfast was lovely. 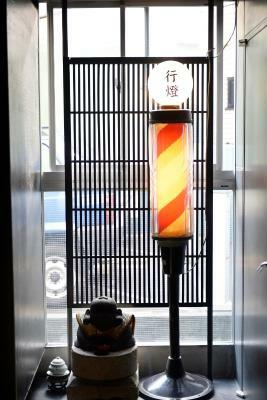 Andon Ryokan is a 5-minute walk from Minowa Subway Station and a 20-minute walk from the historical Asakusa. Boasting award-winning architecture, the hotel offers a hot tub, bicycle rentals and Japanese-style rooms with free wired internet. Guest rooms feature tatami (woven-straw) flooring with traditional futon bedding. Each room is equipped with a TV and a DVD player. 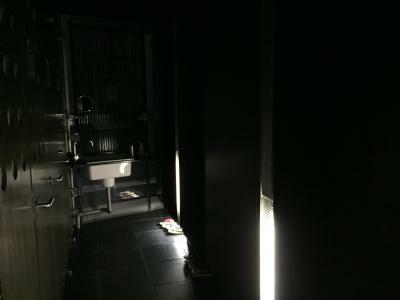 Toilets and bathroom facilities are shared. 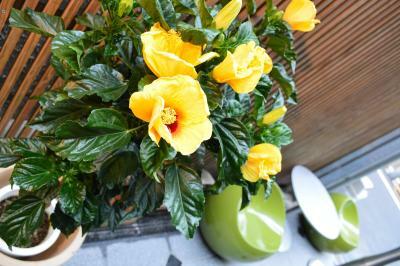 The Ryokan offers cultural activities such as tea ceremony and flower arrangement classes. There is a launderette on site for guests’ convenience. Andon offers a selection of delicious Western breakfasts, which are cooked to preference and served in the common kitchen. Ryokan Andon is a 10-minute journey from downtown area Ueno. Taito is a great choice for travellers interested in temples, city trips and city walks. 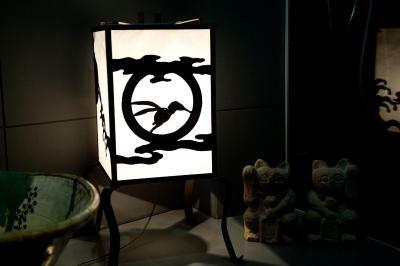 A ryokan is a traditional Japanese inn. They usually feature public baths, multi-course dinners, communal spaces where guests can relax, and rooms with woven-straw flooring and futon mats. 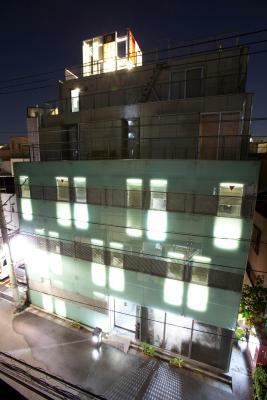 Like hotels, a range of ryokans (from budget to luxury) is available. What originated centuries ago as a free rest house for long-distance travellers has evolved into a popular destination for relaxation in therapeutic mineral springs. What are the major differences between a ryokan and a hotel? Unlike a hotel, where the guest room is simply a place to turn in for the night, a ryokan is more than just an accommodation place to sleep. In Japan, many travellers journey long distances solely for the purpose of relaxing in a hot spring bath and feasting on a traditional multi-course dinner – thus making staying at a ryokan an experience in and of itself. These ryokans typically have Japanese-style rooms with woven-straw flooring and futon beds, instead of Western beds and carpeting. 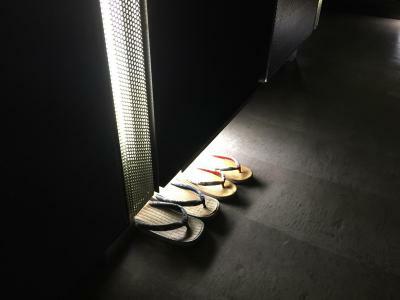 In addition, you remove your shoes at the entrance of the accommodation, or before you enter the room. Modern ryokan may serve buffet-style meals in a dining area, while a more traditional ryokan serves in-room dinners. 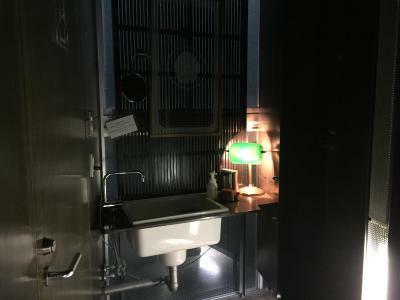 Some ryokan rooms may come with a private bathroom, while others will only have a shared public bathroom. What is a kaiseki meal? Kaiseki is the culinary highlight at a ryokan, embodied in beautifully presented dishes that delight both the palate and the eyes. Each of the 10 to 15 dishes that make up the multi-course Japanese dinner is prepared in such a way that highlights the unique textures, colours, and flavours of the featured seasonal ingredients and local specialties. Served most commonly at special restaurants and ryokan, a traditional kaiseki dinner usually consists of bite-sized appetizers, fresh sashimi (raw fish), soup, grilled fish or meat, a hot pot dish, rice with miso soup, and a small dessert. Yukata is a casual summer kimono typically made of light cotton. 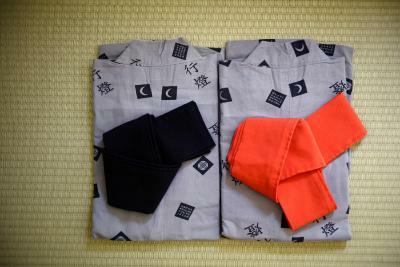 Many ryokans offer guests yukata robes during their stay. In some areas, it is common to see guests strolling through the neighbourhood in their yukata. The loose-fitting garment is perfect for relaxing and sleeping in. First, put your arms through the sleeves like you would with a shirt. Take the right side of the yukata and wrap it across your body. Then take the left side and wrap it over the right, making sure that the robe is levelled at your ankle. Pinning the yukata closed on the right side, wrap the sash around your waist a couple of times and then tie a bow. Generally, the bow is tied around the waist for women, and the hips for men. What is a Japanese hot spring (onsen)? Onsen (literally ‘hot spring’) is a term often used to refer to both the mineral-rich hot springs and the bathing facilities that house them. Whether the bath is public or private, gender-segregated or mixed, indoor or outdoor, soaking and unwinding in the soothing geothermal waters at an onsen is a millennia-old custom deeply embedded in Japanese culture. 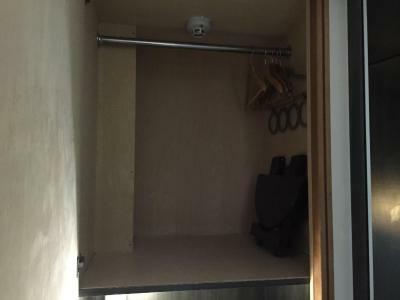 At a public bath – onsen or not – guests are expected to shed all their clothes in their respective changing rooms before entering the bathing area. As a common courtesy, once inside the bathing area, guests should wash and rinse their bodies thoroughly before quietly stepping into the hot water. Whether you relax in solitude or converse softly with others is up to you, but guests should always be mindful of others. Wash towels are often used to cover one’s private areas while walking around. However, note that you must not put towels in the water. While tattoos have become more popular among the youth of Japan, many Japanese people still associate them with outlaws and organized crime. Nowadays, not all businesses ban customers with tattoos, but you may still be refused admission to public baths and swimming pools. Small tattoos may be covered up using waterproof plasters, but keep in mind that each property has the final say on what’s acceptable. 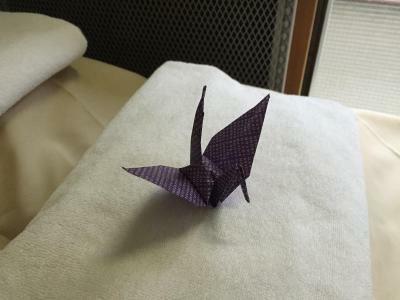 Andon Ryokan has been welcoming Booking.com guests since 30 Mar 2011. When would you like to stay at Andon Ryokan? Simple room featuring a tatami (woven-straw) floor and traditional futon bedding. It's fitted with air conditioning, a TV and a DVD player. Toilets and bathrooms are shared. This simple double room is fitted with 1 large futon mattress. A TV with a DVD player is provided. Property surroundings – This neighbourhood is a great choice for travellers interested in temples, city trips and city walks – Check location Good location - show map Guests loved walking around the neighbourhood! House rules Andon Ryokan takes special requests - add in the next step! Children older than 11 years are welcome. Andon Ryokan accepts these cards and reserves the right to temporarily hold an amount prior to arrival. Guests arriving after 22:00 are requested to inform the hotel in advance. This can be done in the comment box during booking, or using the contact details in the booking confirmation. the price for the rooms are a little too high, the rooms are a little too small, though nice and handsome; the stuff is great, uncomplicated and very friendly. The room is a little dark as others mentioned before, but still acceptable. This is in a good location if you are exploring around asasuka. The owners and staff are friendly. Simple basic room and shared washroom is small but good value for money if you just need a space to sleep for a night or two. Bathroom is very tight so for bigger sized person this might be uncomfortable. They serve great coffee! Japanese breakfast is only 100 yen more so would highly recommend it! If you are older, getting up from a futon is difficult. Such a cool property! Great staff and service. Everything was very clean and well presented. We had such a great time and wish we could’ve stayed longer! We will definitely be back in the future!! Thank you!